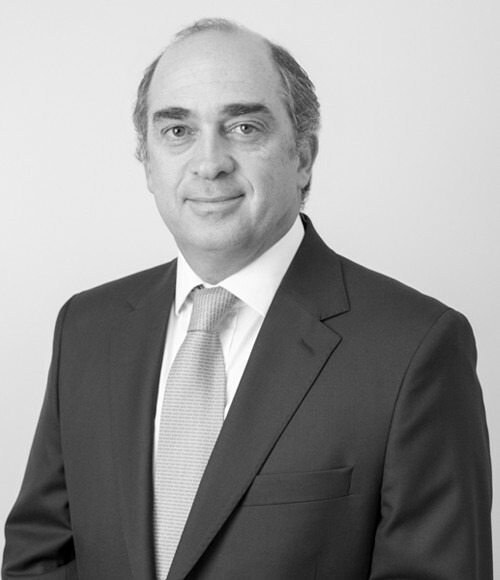 Partner of Carey and co-head of the firm’s Corporate / Mergers & Acquisitions Group. His practice is focused on the areas of corporate law, mergers and acquisitions, securities, agribusiness, insurance and foreign investment. CVC Capital Partners on the local aspects of the acquisition of a 20% stake in Gas Natural Fenosa, owned by Repsol, a Spanish oil and gas company for USD4.7 billion (globally). Kenon Holdings, IC Power’s subsidiary, on the local aspects of the sale of its operations in Bolivia, Chile, Dominican Republic, El Salvador, Guatemala, Jamaica, Nicaragua, Panama and Peru to I Squared Capital, for USD1.2 billion. Qatar Airways on the acquisition of a 10% stake of LATAM Airlines Group through the subscription of a USD608 million capital increase. Altor and Bain Capital, global private equity funds, on the sale of EWOS, world leader in the production of fish food, to Cargill for USD1.35 billion. Ferrero Group, Italian agribusiness conglomerate, global leader in the production of branded chocolate and confectionery products, on the acquisition of Hazelnut farmland in Chile. EWOS, a Norwegian fish food supplier for the aquaculture industry, on the acquisition of the Chilean fish farming company Nova Austral and its subsidiary Comercial Austral for USD183 million. The acquisition of Nova Austral was done under the bankruptcy of its controlling shareholder Acuinova. Hapag Lloyd on the contribution and combination of Compañía Sud Americana de Vapores’ container shipping business into H-L, which thus became the fourth largest shipping company in the world, with approx. USD12 billion in combined annual sales. Recognized in Corporate and M&A, Legal 500. Lawyer of the Year Award in Insurance, Best Lawyers (2014). Recognized in Corporate and M&A, LACCA. Recognized in Corporate and M&A; Investment; Corporate Governance and Compliance; Insurance; Private Equity; Banking and Finance and Project Finance and Development, Best Lawyers. Recognized in Corporate and M&A, Who’s Who Legal. Director of World Services Group (2015-2018). Officer of the Corporate and M&A Committee, IBA. Past Chair of the Latin America Regional Forum, IBA. Foreign Associate, Simpson Thacher & Bartlett LLP, New York (1998). Author of numerous legal publications, including the Chilean chapter of Getting the Deal Through – Mergers & Acquisitions (2009-2013). Frequent lecturer in legal seminars, meetings and conferences both in Chile and abroad.